Charles Alston began working in black and white in the late 1950s, finding both aesthetic and narrative potential in the formal and social resonances of the limited color palette. Here, black rectilinear forms blur into areas of gray and white, conjuring an expanse of outer space or of inner turmoil. 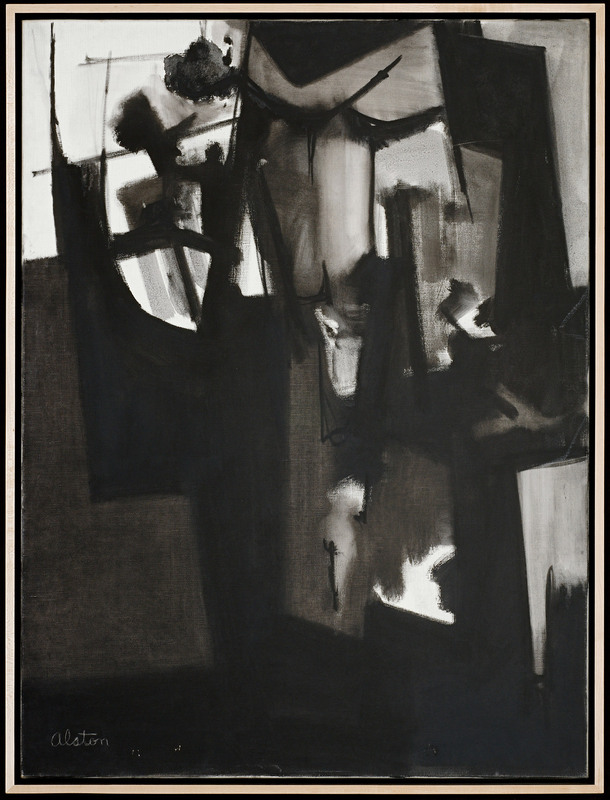 Alston navigated his relationship to the politics of the era through black-and-white abstract works such as this one, as well as through his participation in Spiral, an African-American artist collective, and his role as a teacher and mentor.